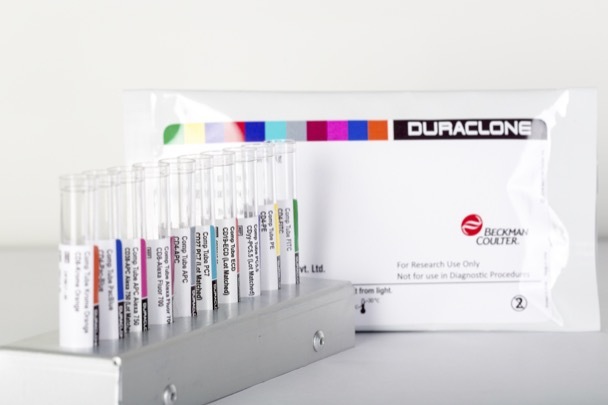 The DuraClone IT T Activation tube is a 6-color reagent that allows the identification of IFNγ, TNFα and IL2 secreting CD4+ and CD8+ T cells. It contains 3 compensation Kits, each kit containing six tubes, each of a single color CD4-FITC; CD4-PE; IL2-PC7; CD8-AF700; CD3-AF750; CD4-PB. All tandem dye-labeled antibodies are lot-matched.